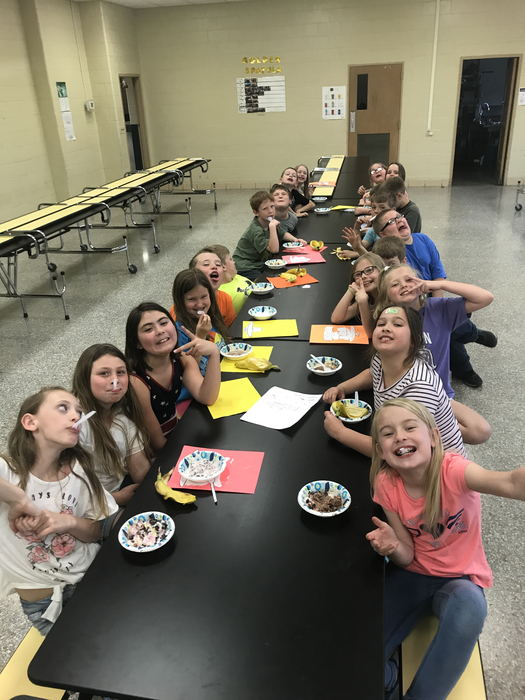 3rd grade celebrating working hard on their multiplication facts with an ice cream party! 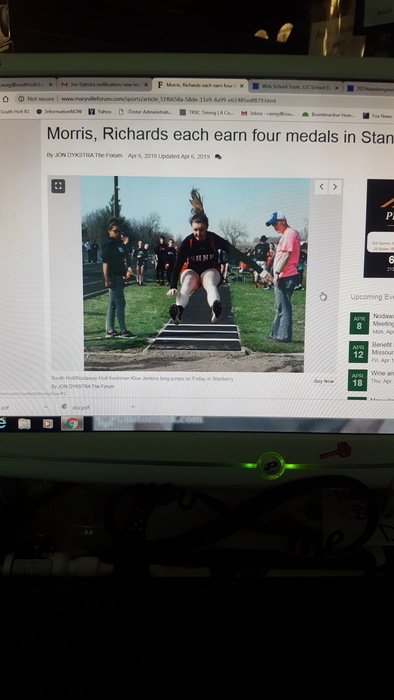 SHNH High School Track and Field. Girls finish in 5th and Boys finish in 3rd at a large 20 team meet at Worth County tonight. 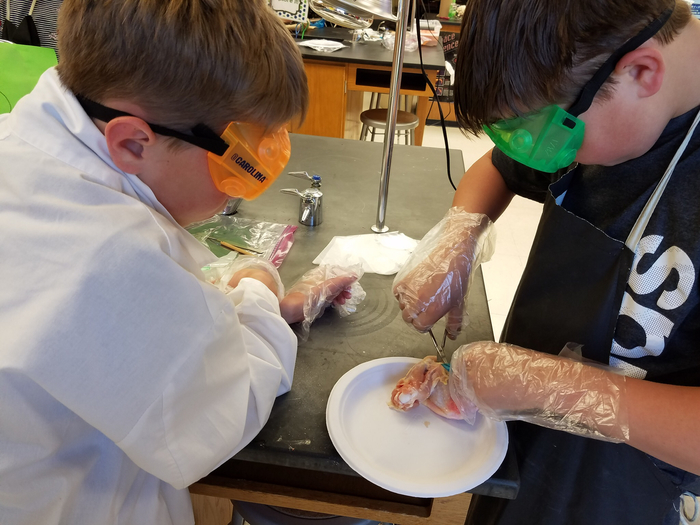 Students in 7th grade science class learning about dissection with chicken wings. 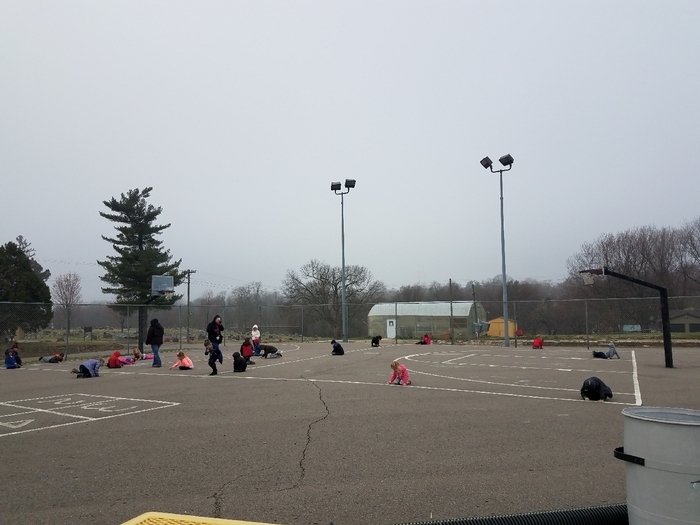 Kindergarten out enjoying the weather as they practiced subtraction story problems! 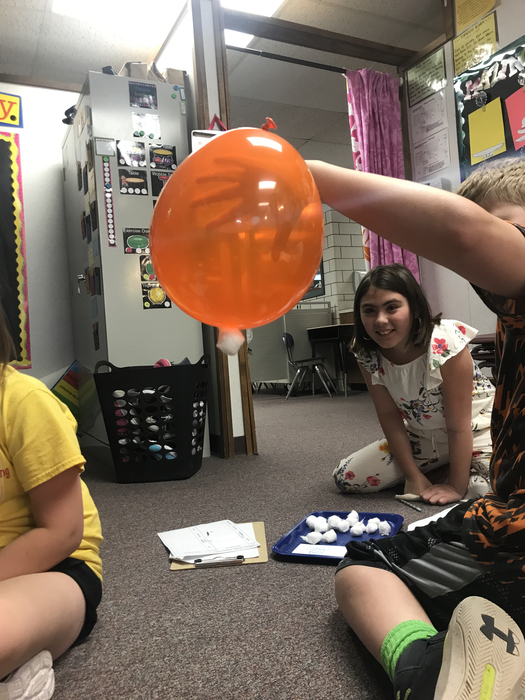 Mrs. Anderson's third graders experimenting with static electricity! 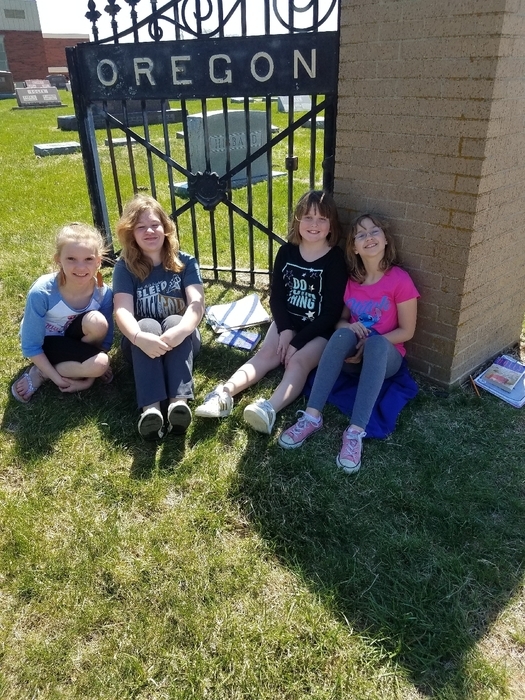 Mrs. Knapp's class enjoying reading out in the nice weather! 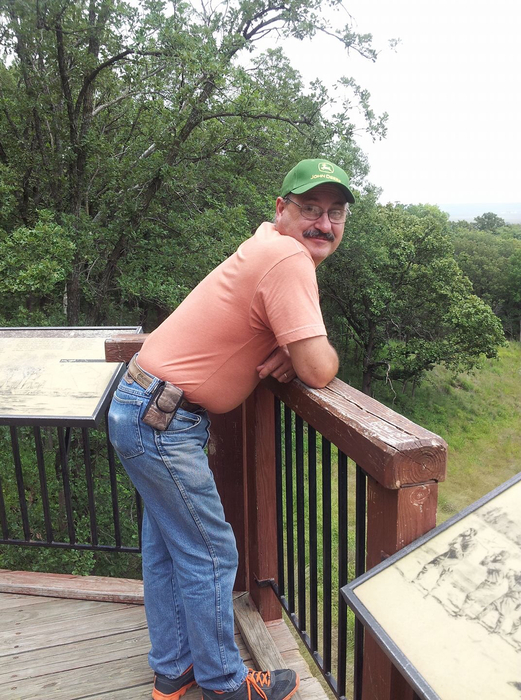 Today is the first day in 23 years at South Holt that Dave Cotton is not around as an employee. He begins his new job at Mound City’s Hiawatha John Deere today. South Holt thanks Dave for the many years of service and wish him the best of luck! Basketball only open gym tonight at 6:00. Junior and seniors parents are reminded to bring 10 2 liters of pop to school for after prom by tomorrow (Saturday) morning at 8:30 when we set up? Everyone needed to help set up. Super Saturday tomorrow (Saturday) at the Forest City Christian Church from 10-11:30 am for preschool thru 6th graders. It is free. 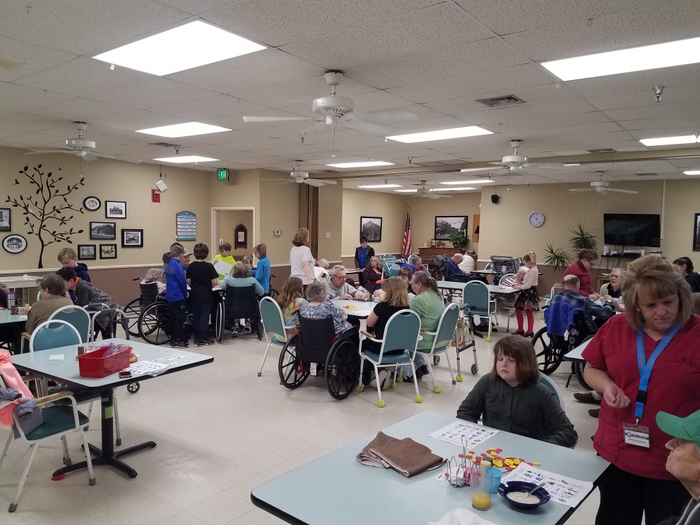 Fifth graders spent the morning at the Oregon Care Center. 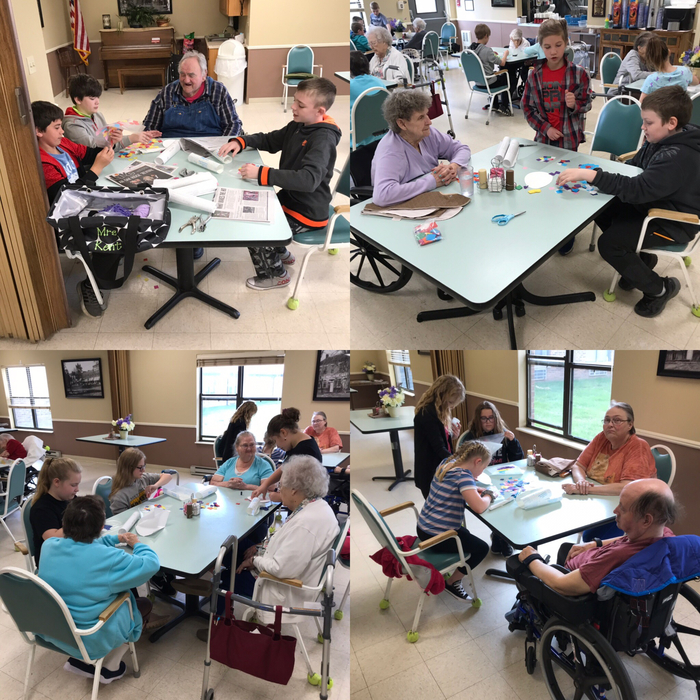 They made Easter sun catchers, put puzzles together and visited with the residents. 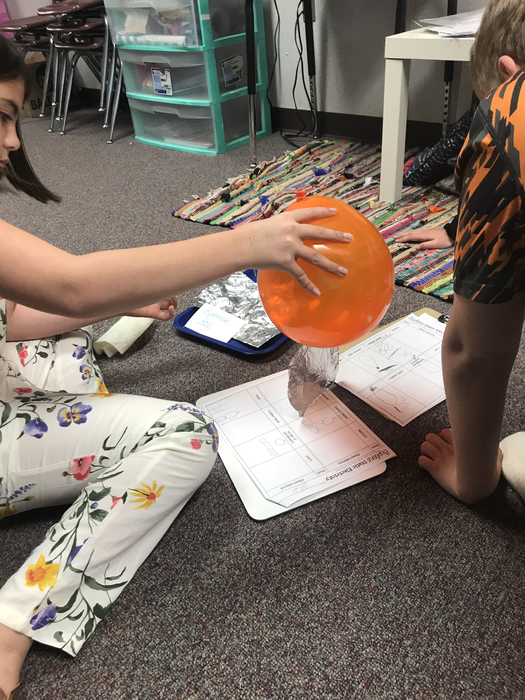 Mrs. Kurtz and her 4th graders worked hard on a science experiment today. 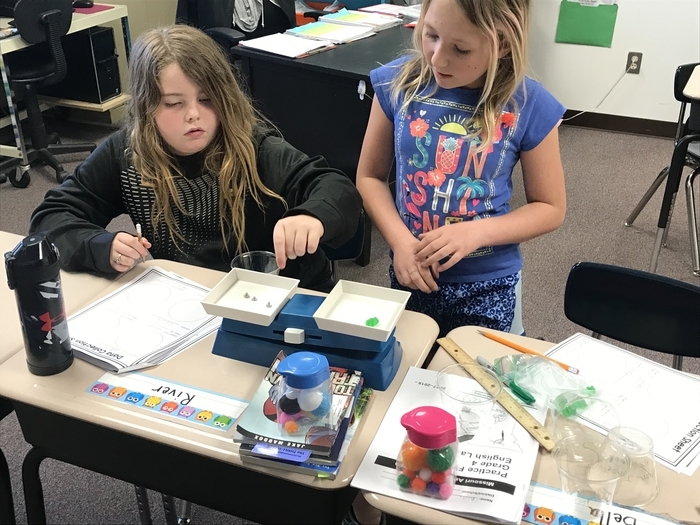 They are finding the mass of their gummy bears before putting them into different solutions to see how they change. Senior parent meeting at 7 pm next Wednesday, April 17th in the cafeteria. Planning the senior breakfast. South Holt R1 School District. Wednesday, April 10th, all 7th grade students will be attending the Northwest Career Event. Students will need to arrive at South Holt at 7:00 AM. Lunch will be provided and the students will be back at South Holt before the end of the school day. South Holt will not be participating in today’s MWSU Honor Choir due to the conflict with JH Track. Inches! Feet! Yards! Oh my! Shared open gym for JH age & up to Alumni: vball & b-ball @ 6pm. 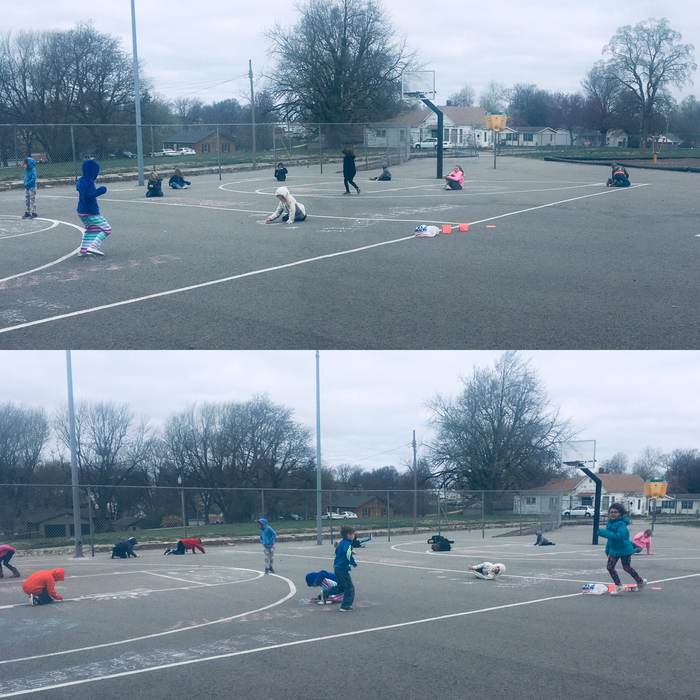 Kindergarten is getting some fresh air and practicing their writing with chalk. Kindergarten and 1st grade performing “Baby Beluga” musical. Very nice singing! 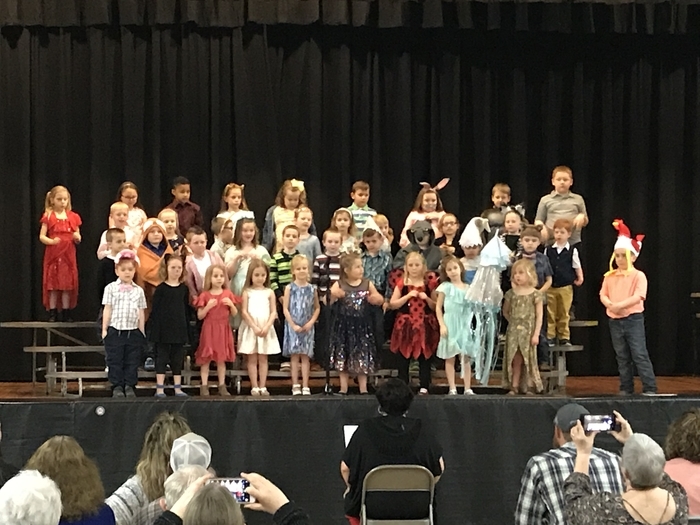 South Holt Kindergarten and 1st Grade will be performing in a musical tonight at 6:30pm in the main gym. The musical is called "Baby Beluga". Also the 4th grade Honor Choir will sing. 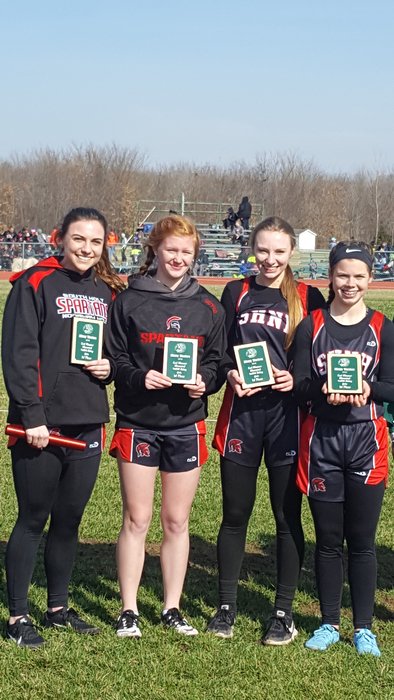 Two first place relay teams from Monday’s High School Track meet at Albany. There will be an After Prom Party meeting tomorrow night (Wednesday) at 6:30 in the school cafeteria. 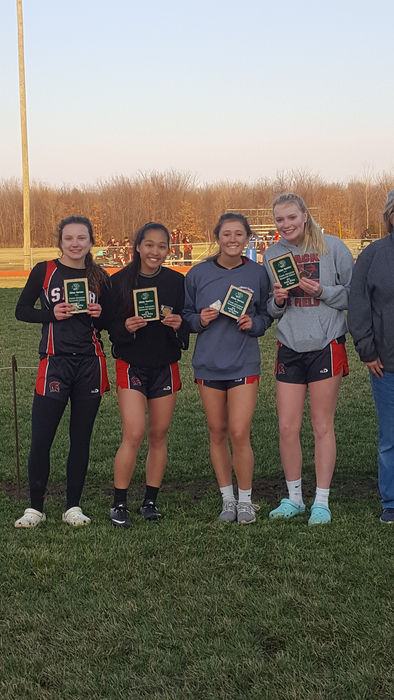 Congratulations to the SHNH High School Girls and Boys Track teams on their efforts at tonight’s track meet in Albany. Boys 4th team, girls 3rd team. 28 teams participating. Shared open gym for volleyball and basketball tonight at 6:00. Super Saturday March 30 at Forest City Christian Church 10-11:30. PreK-6th grade Free! 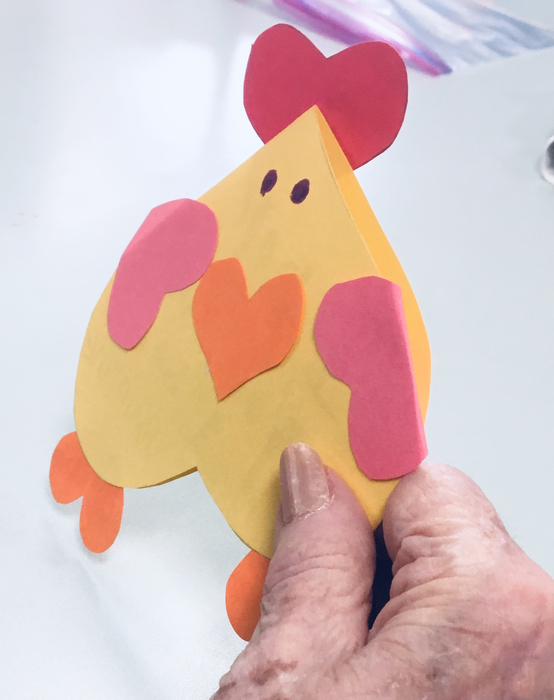 Oregon Carer Center is hosting the Community Easter Egg Hunt on Good Friday (4/19/19) at 3:00 PM for kids ages 0-8 years of age. 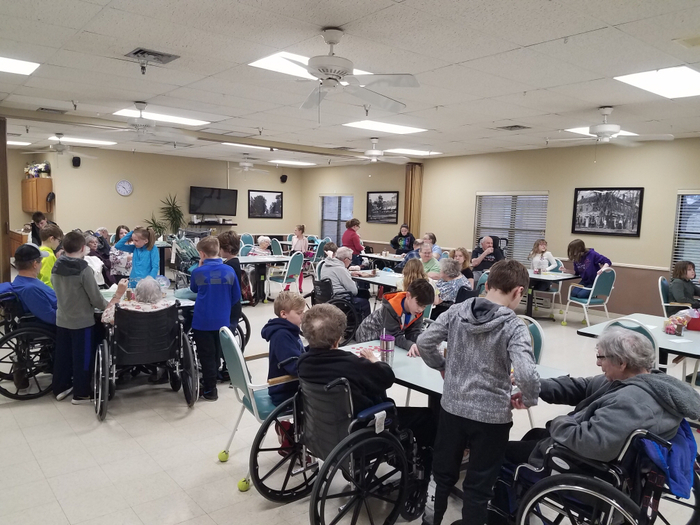 The care center fills over 6000 eggs and is accepting candy donations at this time. 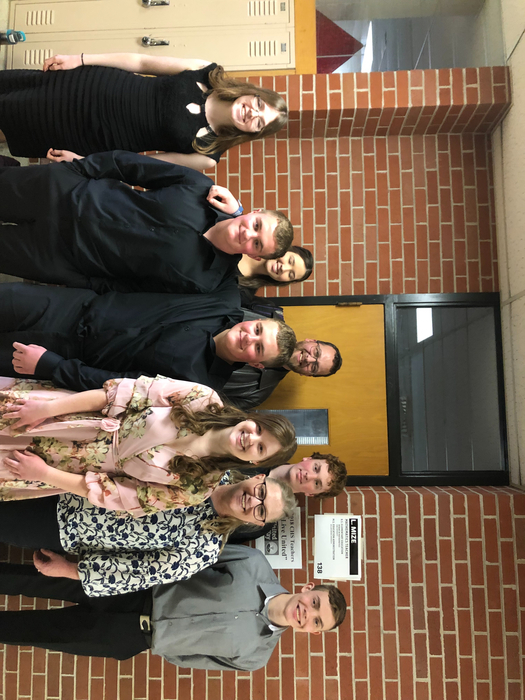 Congratulations to the South Holt Band for getting a great score at Band festival. They got a II for the prepared pieces and a II for sight reading. 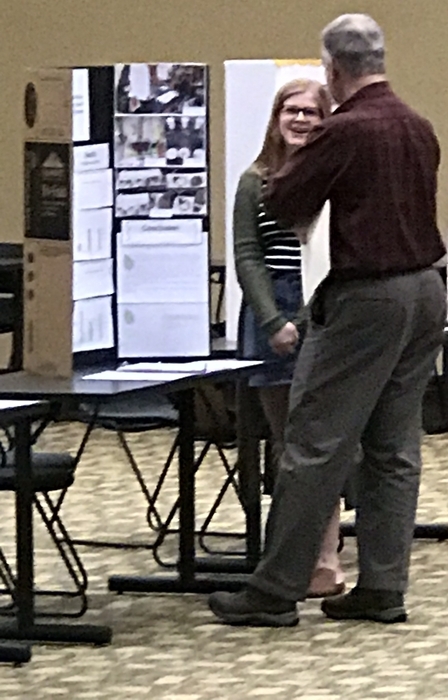 One judge gave us a I! 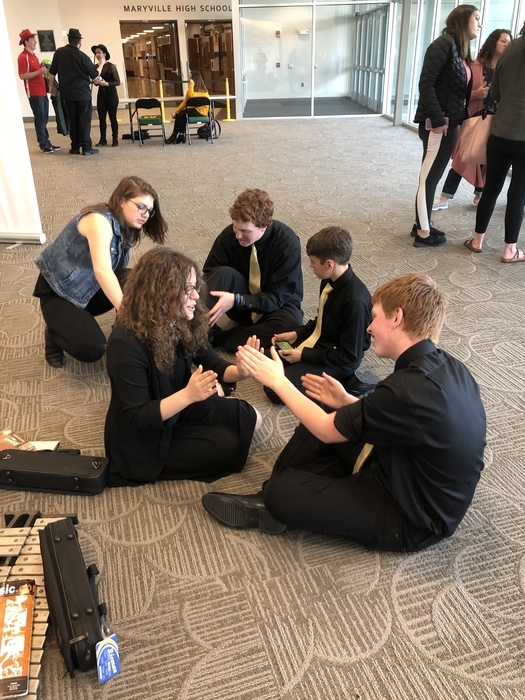 Here’s Band students waiting for their chance to perform at festival. Band performance is at 6:35 this evening, Maryville HS. All are welcome to come and watch! Reminder to all students that were invited to the Academic Banquet, you must RSVP by Monday, April 1st. Miss Olberding will be placing the dinner number with the caterer based on those who have let he know they are attending. 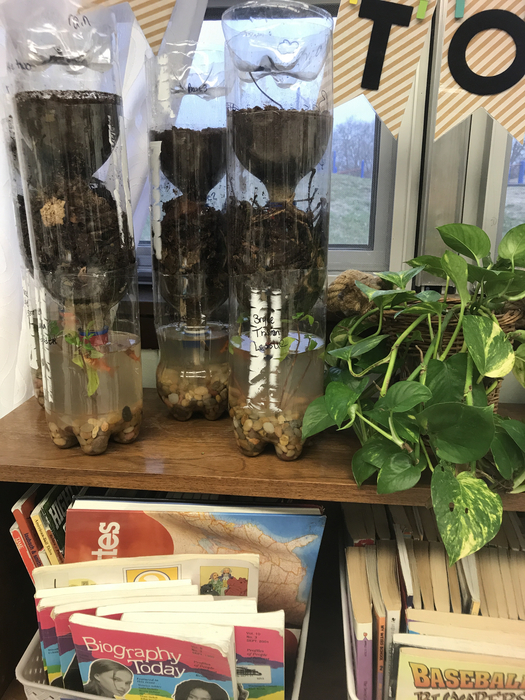 6th Grade is finishing up Life Science with Self-Sustained Ecosystems!! Thursdays (2/28/19) High School Track Meet at Mound City has been cancelled. Miss Peters' Kindergarten class working together practicing sentence building. 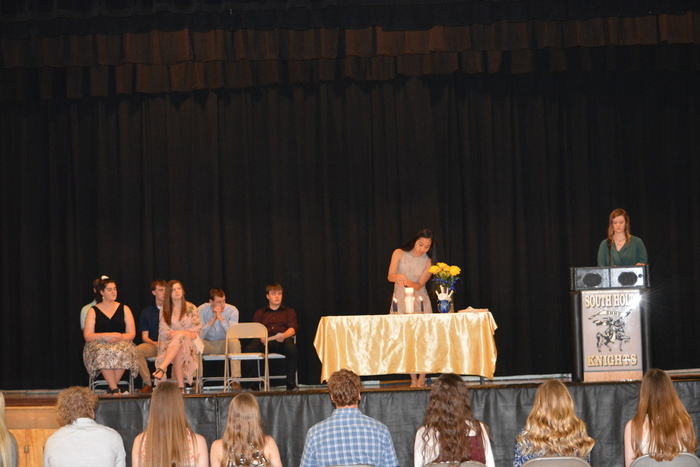 Congratulations to the nine new National Honor Society members that were inducted at Monday night's ceremony! 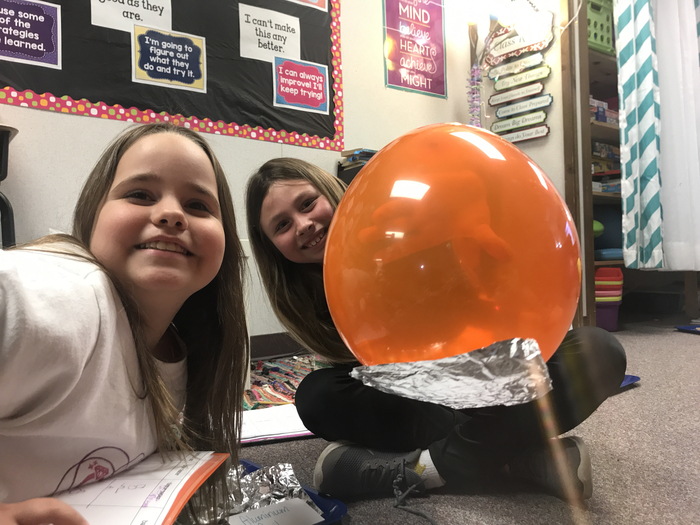 It's always so fun to celebrate our students' achievements! Please join us for the Community FFA Breakfast this Saturday at the TJ Hall from 6:30-10:30am. We will also be collecting donations for those impacted the recent flooding. We hope to see you there! The departure time for Band on Thursday is 4:30, not 4:00. We apologize for the confusion. 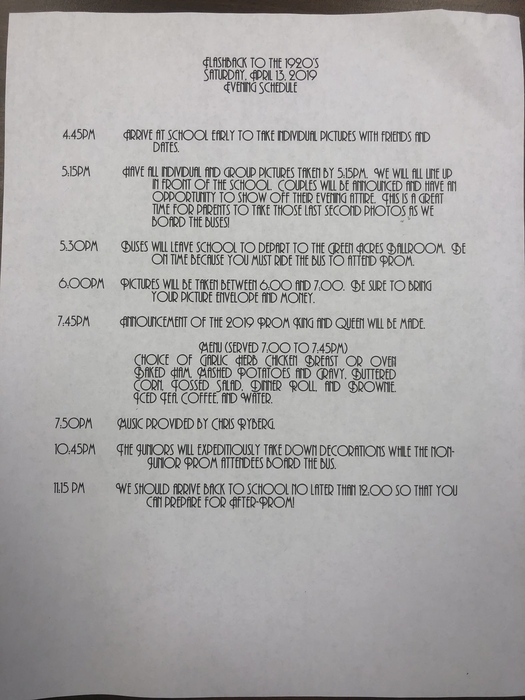 South Holt Band students taking part in contests on Thursday (3/28/19), the leave time has been moved up to 4:00 PM. Tomorrow (Tuesday) is group picture day at South Holt Elementary. Please make sure all picture forms are sent in with elementary students. 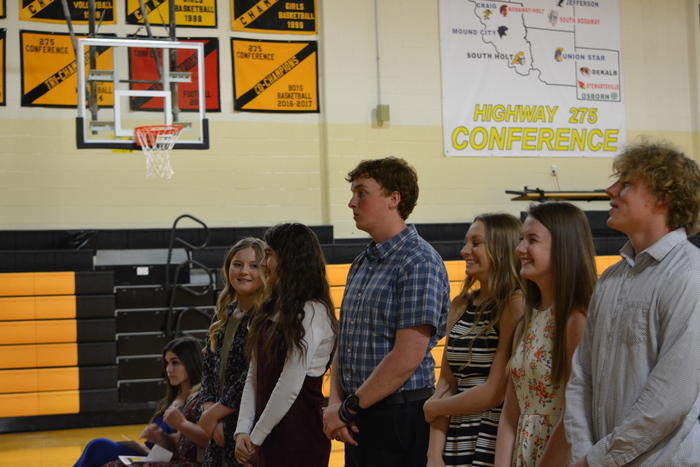 National Honor Society Induction tonight in the South Holt Gym at 6:00. After Prom bake sale tomorrow from 5:00-7:00 at TJ Hall during Fireman's BBQ. Jr/Sr parents please provide 2-3 baked goods and deliver to TJ Hall by 4:15. 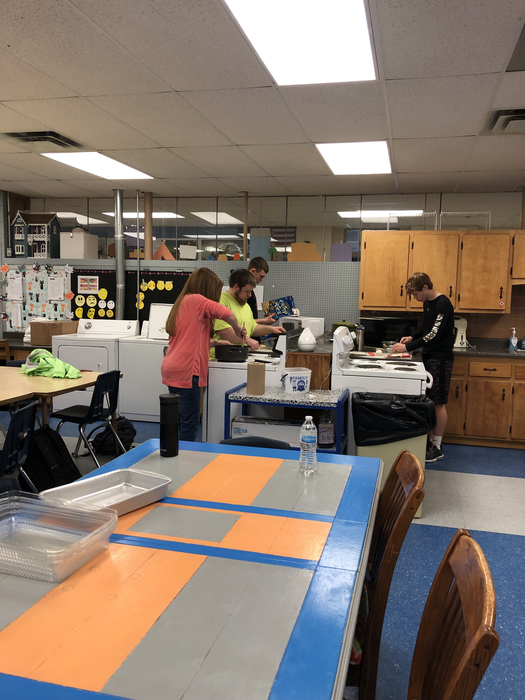 Students and teachers who remained at South Holt on Thursday pitched in by baking treats for the workers. 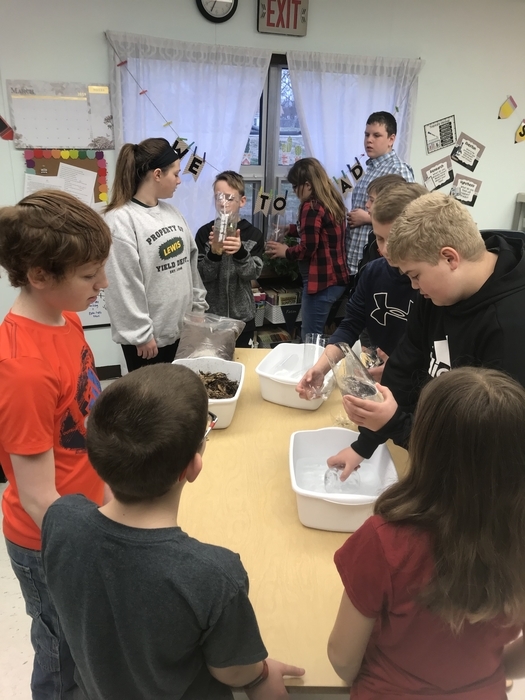 South Holt students and teachers helping with the flood efforts in Forest City on 3/21/19. 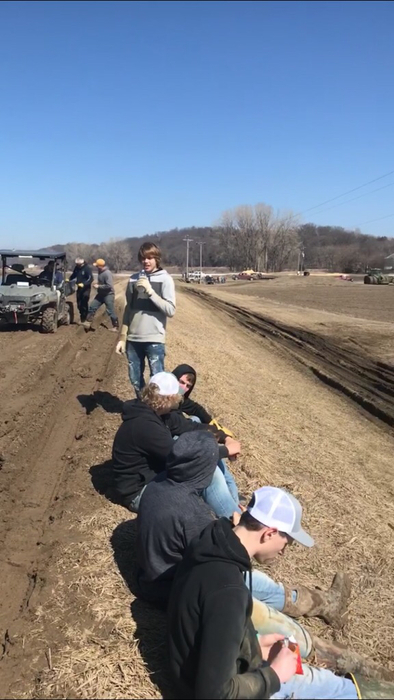 Nearly 40 SH students volunteered their time to help the sandbagging effort at Forest City today. Many of them even giving up their opportunity to attend the incentive trip. 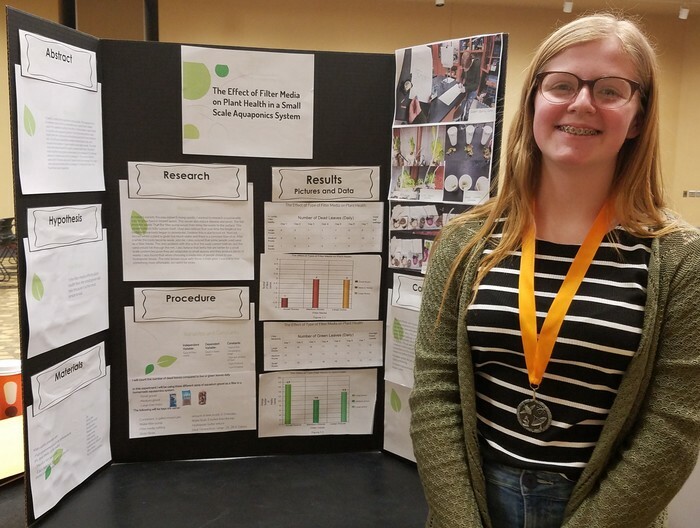 Great job South Holt students! Any and all JH/Hs students who are willing to help move sandbags and fill sandbags today should dress accordingly and see Mr Ottman when they get to school. The city of forest city needs our help. 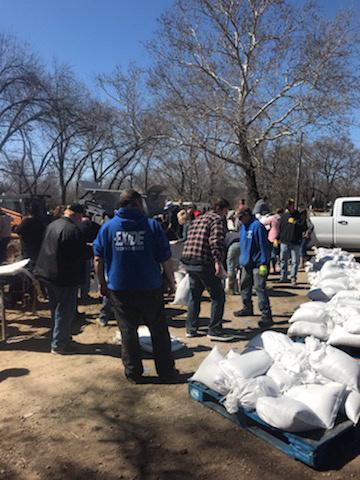 Another successful night of sandbagging in Forest City. A great number of volunteers working together to protect the water plant. Thanks to all who were able to help. South Holt will run normal bus routes tomorrow (Thursday) morning. We will drive on gravel roads. Call Richard Corbin (660)442-5111 or your bus driver if you don’t want them to or have other arrangements. 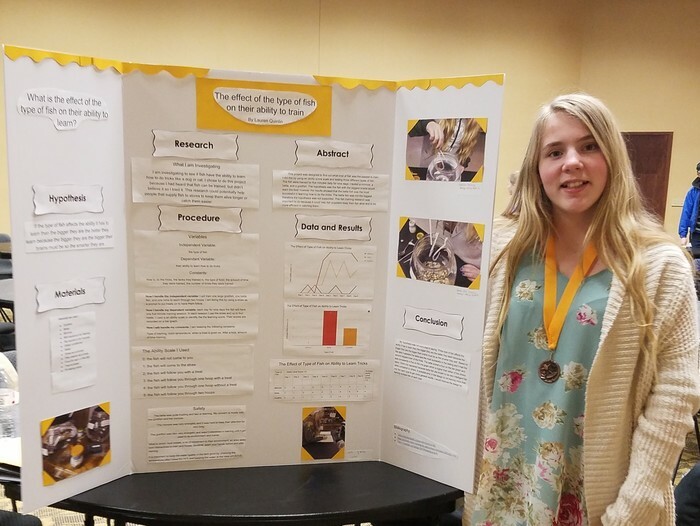 South Holt is proud to announce Teegan Parsons (2nd place and Lauren Quinlin 3rd place) in this years Jr. MARSEF Science Fair. Congratulations Girls! Attention South Holt High School Freshmen. 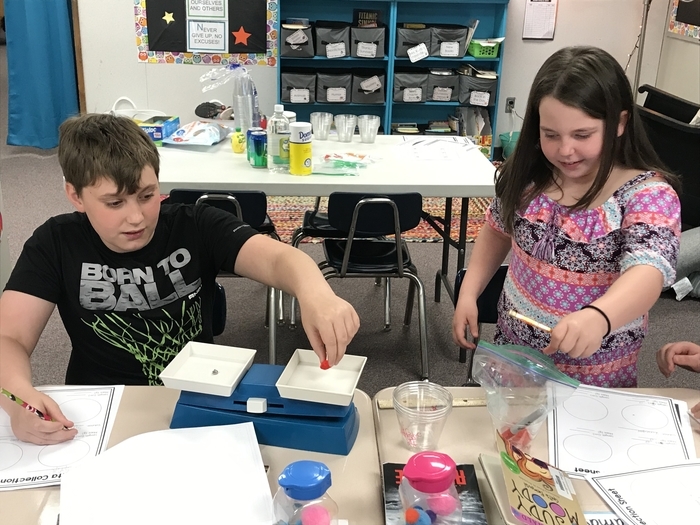 Due to area flooding, County Government Day schuduled for 3/25/19 has been cancelled. Filling and stockpiling sandbags for the water plant tonight at the water plant at 6 pm. Any and all help appreciated! Horticultural students are putting the hangers on baskets today! Happy first day of Spring! The April 18th early dismissal announcement was sent out prematurely. South Holt has a full day of school this Thursday. Thank you for your understanding. Cameron Biondo is 1st place in the 3rd and 4th grade spelling bee and Chloe DeBee is the alternate. Cameron will compete in the 275 Conference Spelling Bee. Second Harvest and Oregon Kiwanis sponsoring a fresh fruit mobile pantry that is happening on Wednesday, March 20th from 10:00am-12:00pm at the TJ Hall Building in Oregon. All who want FREE fresh fruit can come and get some. Allison's School of Dance will not be having dance classes after school this Thursday (March 21st) at South Holt. They will be filling sandbags in Forest City tonight at 6 pm. Both at the water plant and downtown across from the bar. The automated bagger will be at the downtown site and will have hand crews at the water plant. Any and all help is greatly appreciated! They are going to fill sandbags again tonight at Forest City water plant at 6pm. Two loads worth of sand. Any help appreciated. 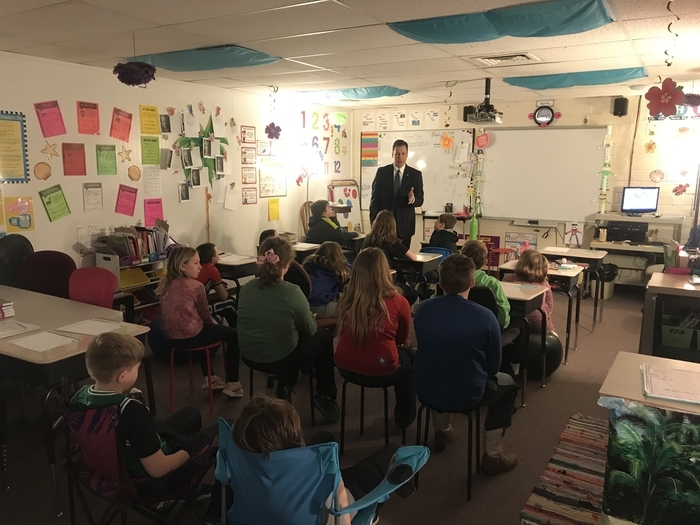 Representative Allen Andrews meeting with 4th graders. Holt County and other leaders extend a hug THANK YOU! To all the volunteers who helped bad sand for the flood. 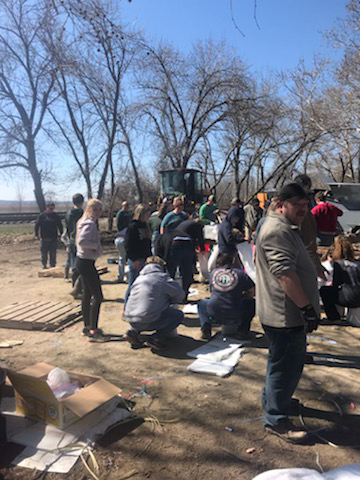 At one count today there were over 80 people helping at the Forest City site. Well done! 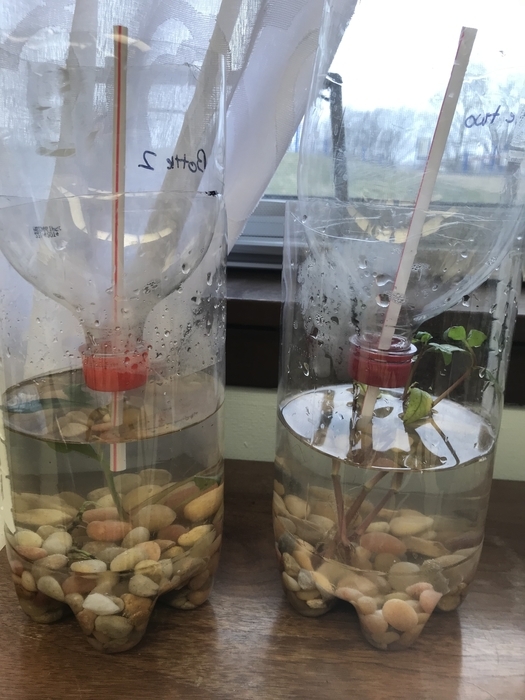 They are waiting for sand at the water plant. I will let you know when we get sand. Thank you. Shared Open Gym tonight @ 6pm! Come play some Basketball or Volleyball! 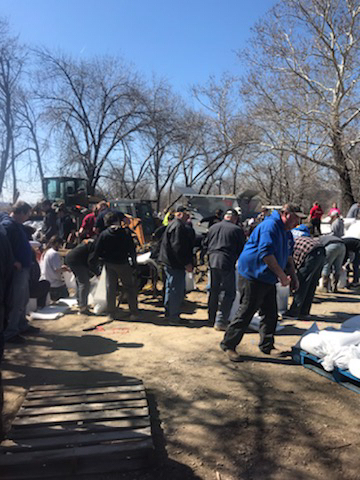 More help is needed filling sand bags at the county barn in Oregon. Young help especially needed. South Holt buses will be hard surface only until Wednesday. We will check with the commissioners on Wednesday for further direction. 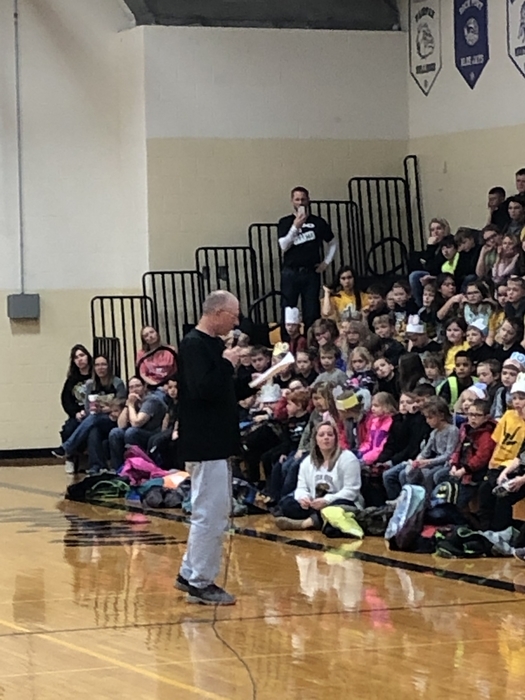 South Holt Elementary is celebrating Missouri School Read-In Day today! “Celebrity Readers”, published author presentation, and storyteller Will Stuck all happening. 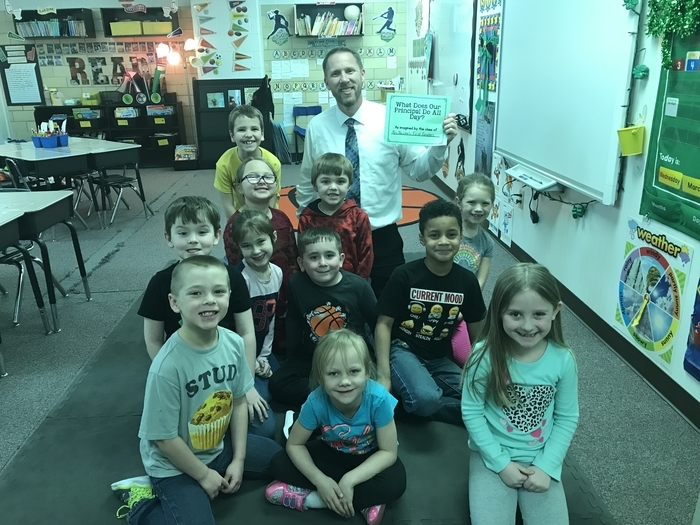 All kids should carry a book for announces “Stop, Drop, and Read” opportunities! Should be a great day!! 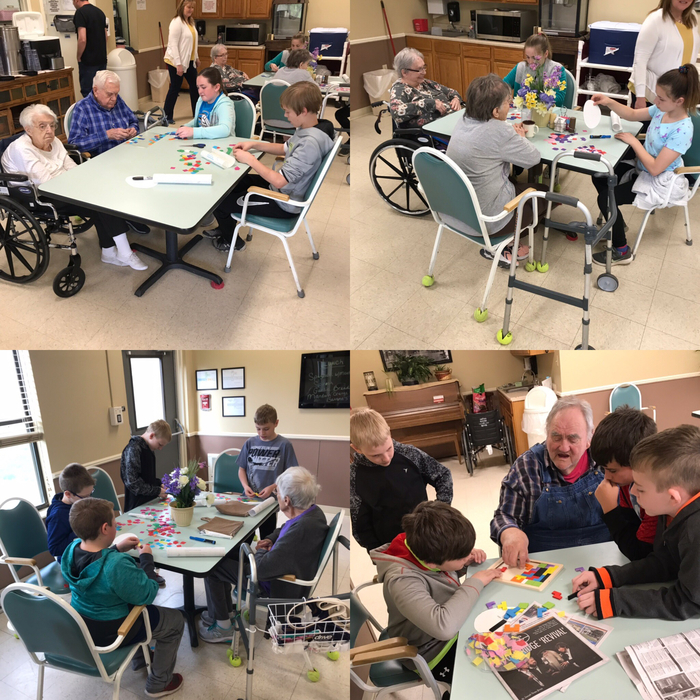 South Holt 4th graders enjoyed playing bingo with residents at the Oregon Care Center. South Holt will be running buses on hard surfaces only, no rock roads, until further notice. Please contact your bus driver or Richard Corbin, 660-442-5111 to discuss your plan. Plan to meet the bus at the highway, designate new pick up/drop off location or bring kids to school. 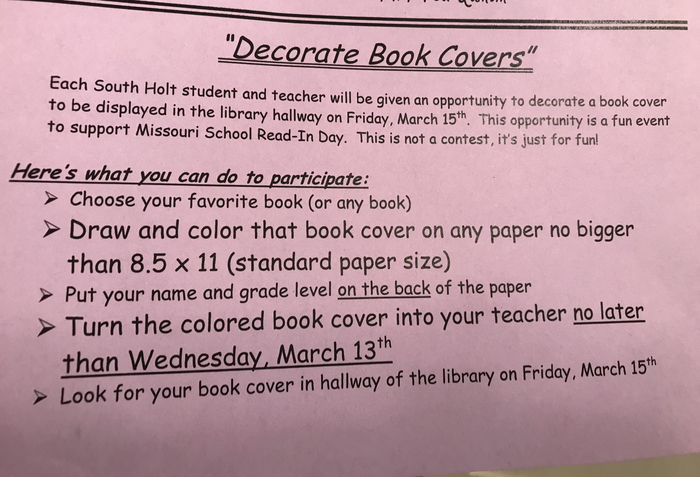 South Holt Elementary celebrating Missouri School Read-In Day on Friday, March 15th. Guest readers, author visit, and Will Stuck storytelling assembly in the afternoon. Sounds like fun! Encourage your child to decorate a book cover. Now due on Thursday! New date for the FFA Breakfast is March 30th at the TJ Hal Building from 6:30am to 10am. We hope to see you there! 2019 SHNH Track apparel order forms are now available at the student information center across from the HS office or from Mr. Ottman. Orders are due this Friday, March 15th. 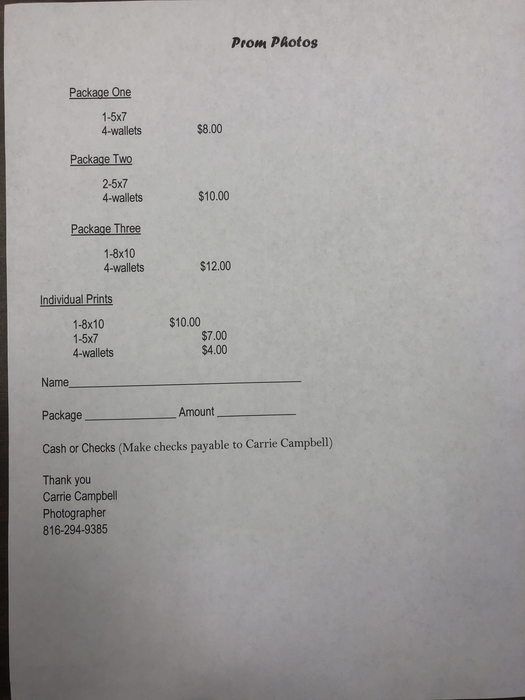 Order forms can also be found on the South Holt Athletic Booster Club Facebook page. March 25th County Government Day for 9th graders. 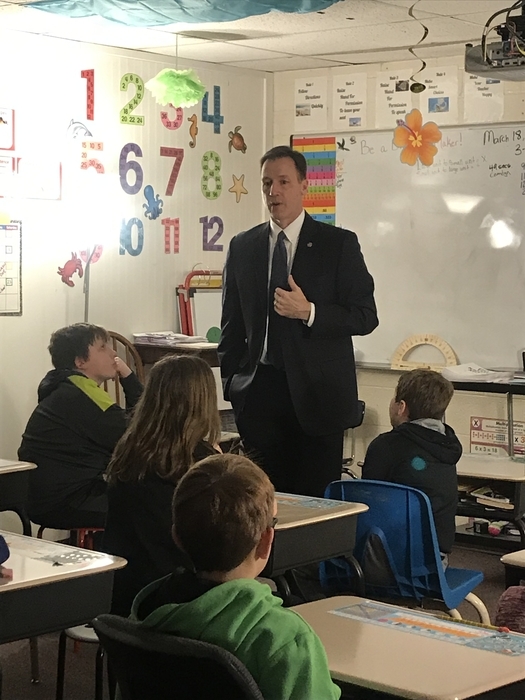 Students will learn about their local government. Students must dress professionally. Students should not wear blue jeans and t-shirts. Attention all SH bus riders. Please keep us informed of the condition of your rock roads. We know they are pretty rough and soft in places. 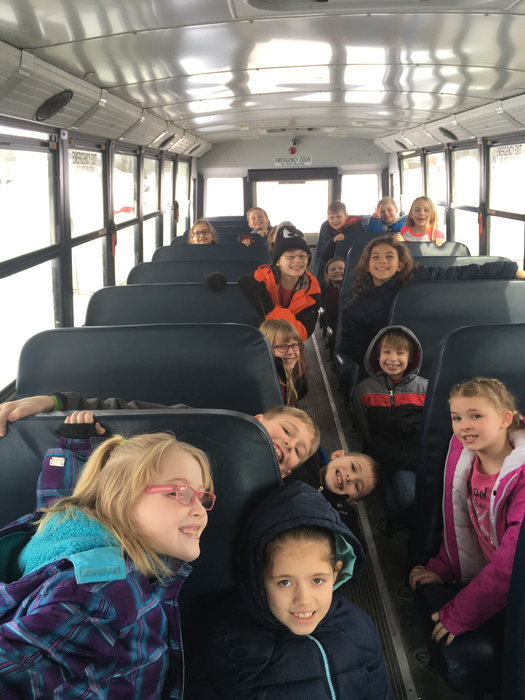 Any changes to your riding schedule should be told to Richard at 660-442-5111.We can meet you at the highway or you can bring to school. Any seniors that are looking for additional scholarship opportunities that are not posted on the school website are encouraged to stop by Miss Olberding’s room for more information. FFA Community Blood Drive at the SH New Gym from 1 to 6pm today! Walk ins are welcome! 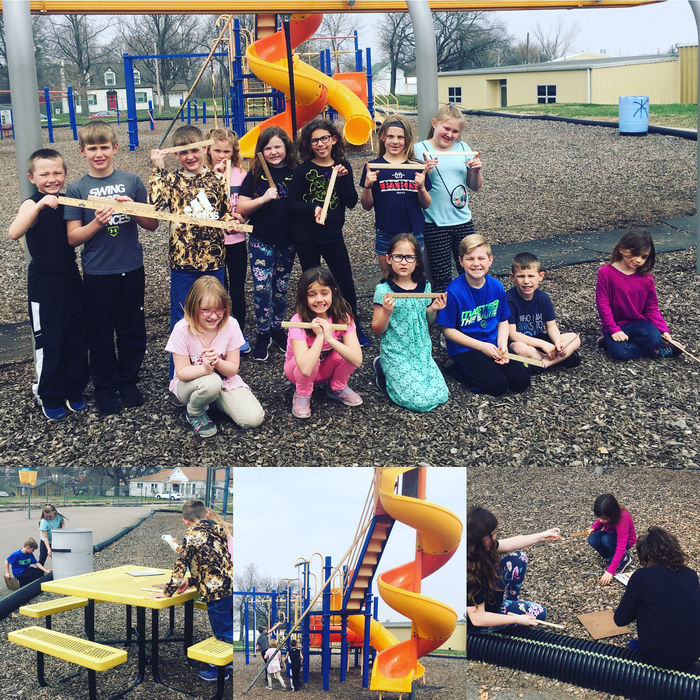 South Holt celebrated Principal Day today. Treats for both administrators! 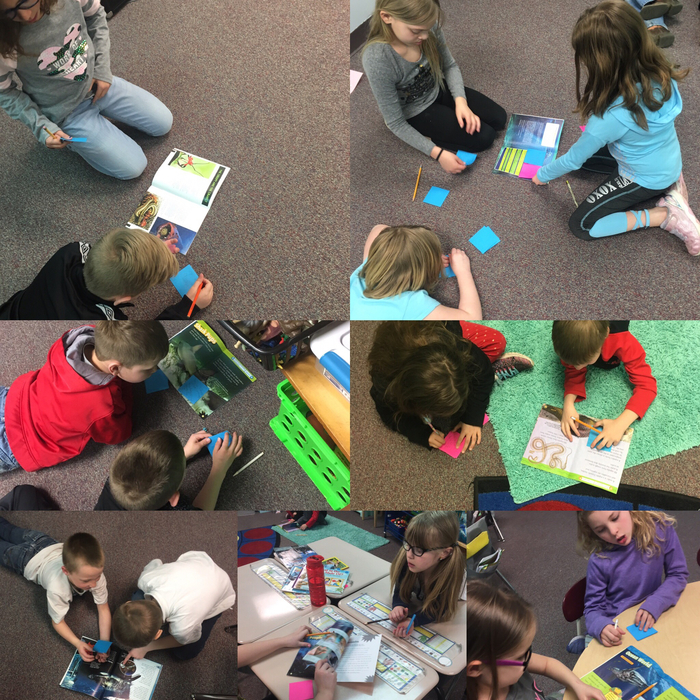 😋 Mrs. Nester’s students put a book together on things they thought the elementary principal does all day. 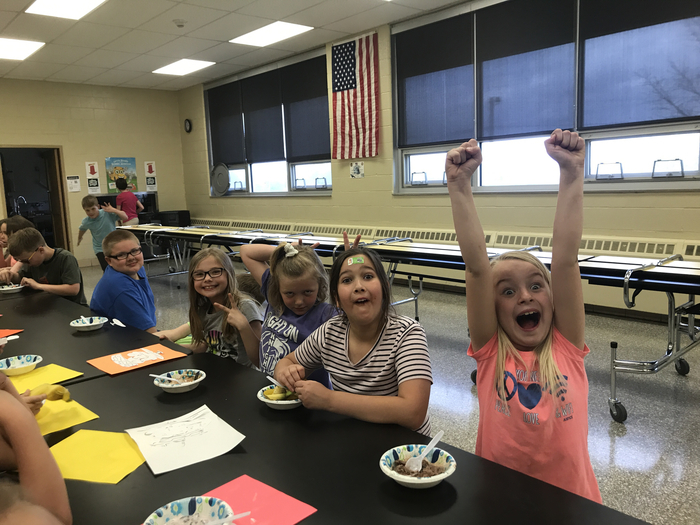 Good stuff 1st grade! 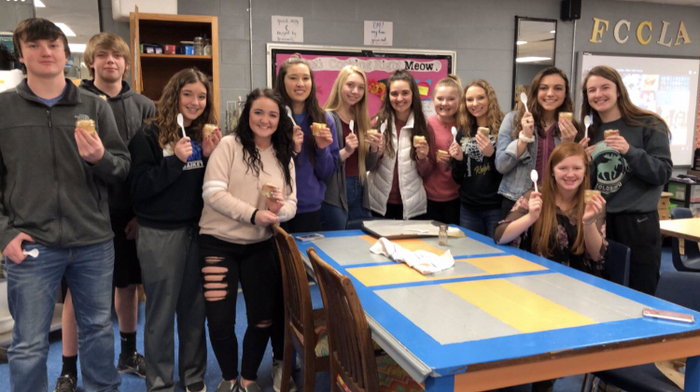 JH Student Council is selling frosted sugar cookies for St. Patrick's Day! The cookies are $1.00 each. The proceeds will be used to host a senior citizens prom for the seniors in our community. Academic Banquet invites are in the mail. There is one minor detail that is incorrect...the banquet is indeed on April 15th, but that is a Monday NOT a Friday. My sincerest apologies for the mistake! There will be a another opportunity to sign your child up for Holt County summer tee-ball, softball and baseball tomorrow, Monday, night from 5:30-7:00 in the school cafeteria. Preschool through 12 year old boys and girls. South Holt R1 School District - Monday’s FFA trapshooting has been postponed until April 8th. Attention seniors!! The deadline for submitting Scholar-Link applications has been extended until 6:00 PM on Monday, March 4th due to the number of snow days over the past few weeks. 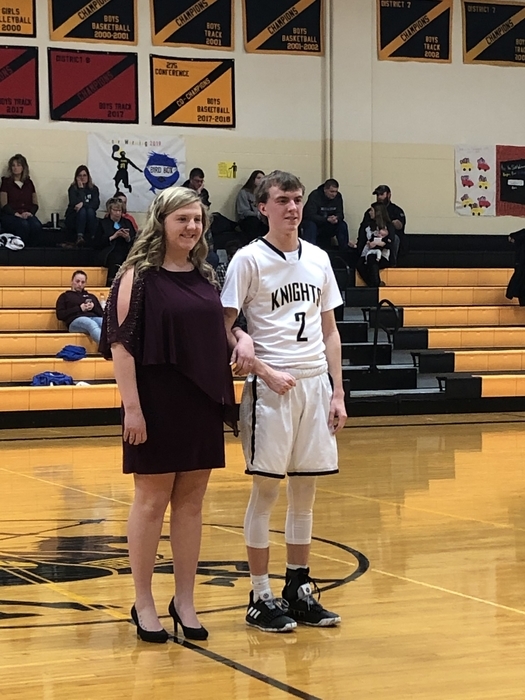 South Holt would like to congratulate Rayleigh Guyer (Honorable Mention) and Grace Cotton (Honorable Mention) for their selection to the 2018-2019 275 Girls All-Conference Basketball Team. GO KNIGHTS! 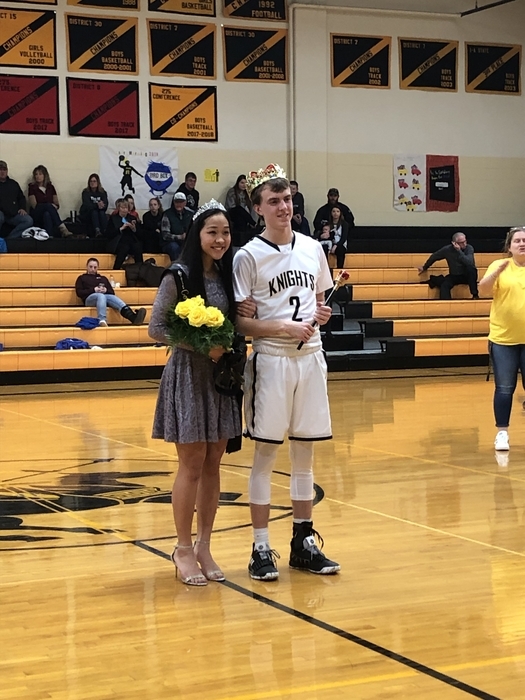 South Holt would like to congratulate Reagan Morris (Unanimous 1st team) and Eric Ottman (2nd team) for their selection to the 2018-2019 275 Boys All-Conference Basketball Team. GO KNIGHTS! South Holt After School Bible Club has a Family Fest today for parents. Parents come at 5pm and eat with kids. The kids will prepare the meal and dessert. Next Thursday is the FFA Blood Drive. Book an appointment using the url shown on the flyer or contact Mrs. Aeschliman. Walk ins are also welcome! Update on Jason Acton Memorial Scholarship: Applications are due back to Miss Olberding by May 1st. 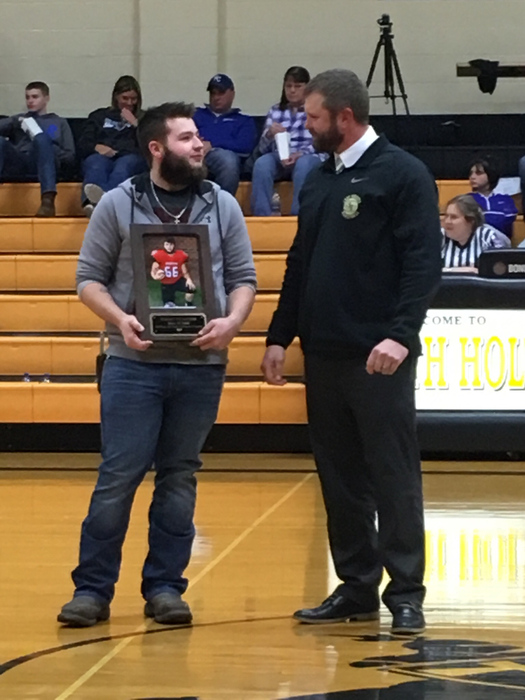 South Holt would like to recognize Mr. Josh Petersen as the Class 1 District 15 All-District Girls Coach of the Year. GO KNIGHTS! 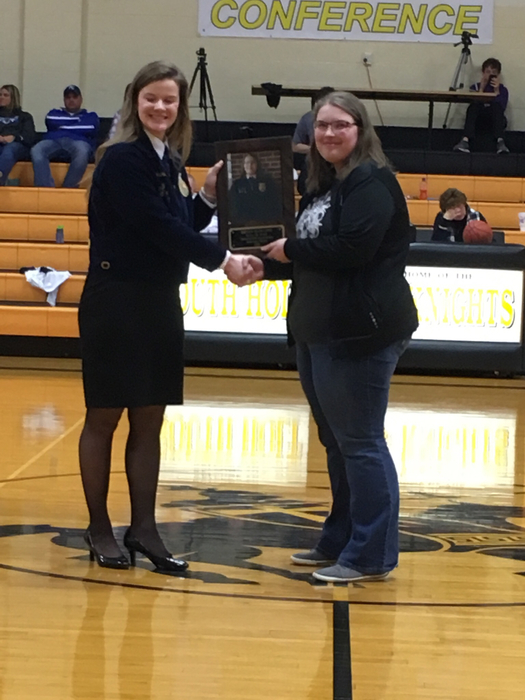 South Holt would like to recognize Chloee Prussman (2nd team) and Rayleigh Guyer (2nd team) for their selection to the Class 1 District 15 All-District Basketball Team. GO KNIGHTS! 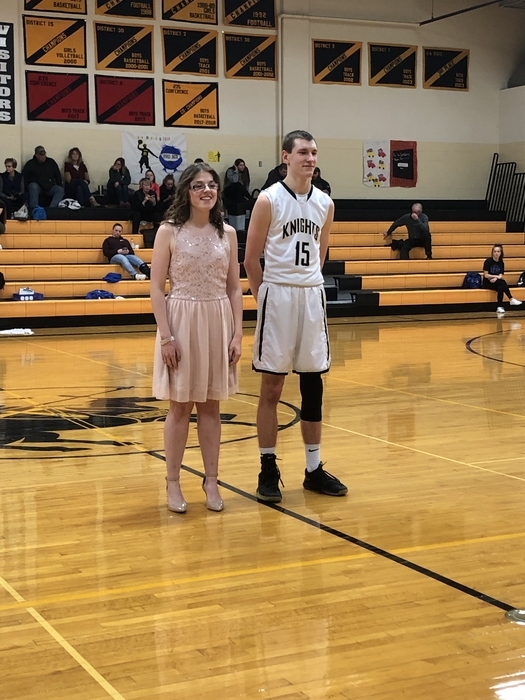 South Holt would like to recognize Reagan Morris (1st team) and Eric Ottman (2nd team) for their selection to the Class 1 District 15 All-District Basketball Team. GO KNIGHTS! 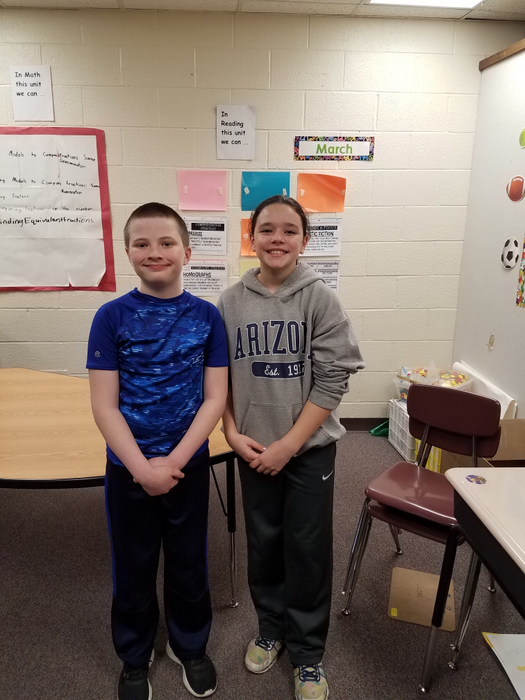 Congratulations to Hailey Fritz and Reese Morris, South Holt's Students of the Month for February! Due to concerns of inclement weather for Saturday both District 15 championship games will be played Friday (2/22/19). Men at 6:00 PM and Women at 7:30 PM. Congratulations to the Lady Knights Basketball team on a successful 14-10 season. South Holt Girls fall to Mound City in district play 27-16. Follow the Yellow-brick road. Thank you to our awesome Booster Club for letting us go. It was awesome. Tomorrow's lunch menu will be the Chicken and Noodles that was on the menu for Friday. No change will be made. 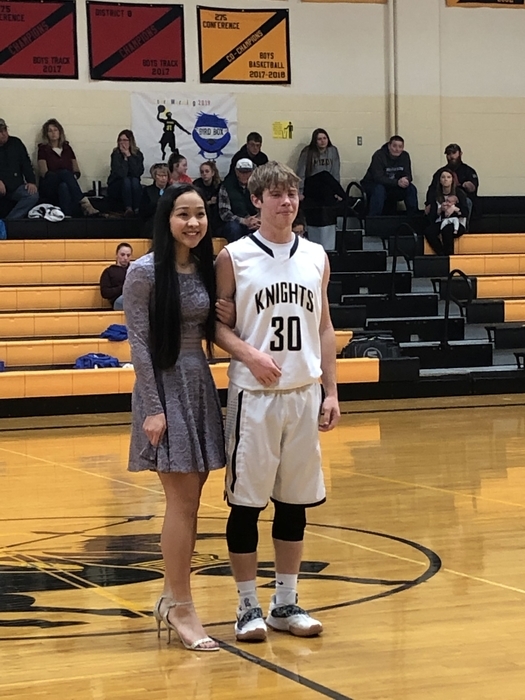 The South Holt Boys Basketball Team concluded their season last night with a tough loss in districts to North Andrew 66-81. The season record for the Knights was 16-8. Vegetable soup for lunch today at South Holt. Elementary Toy Tractor show will begin tomorrow at 7:45 in the hall by the library. 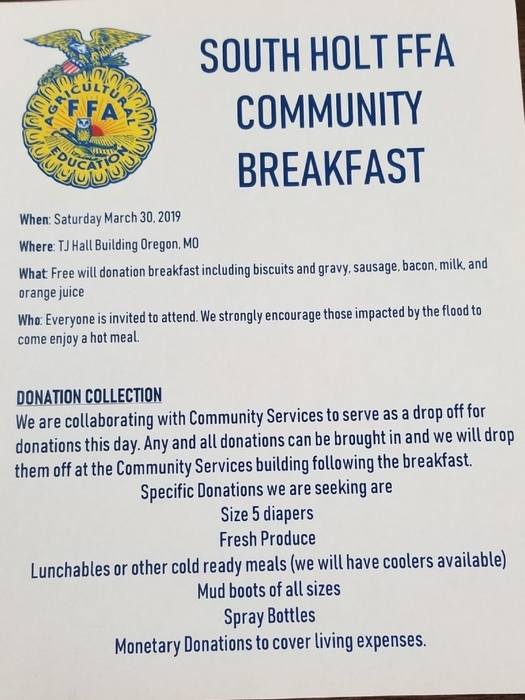 The FFA Community Breakfast scheduled for this Saturday is postponed. We will announce a new date at a later time. South Holt will be closed today, Wednesday. South Holt K-2nd students will not attend Wizard of Oz on Wed. That group will attend on Thursday. Same time. 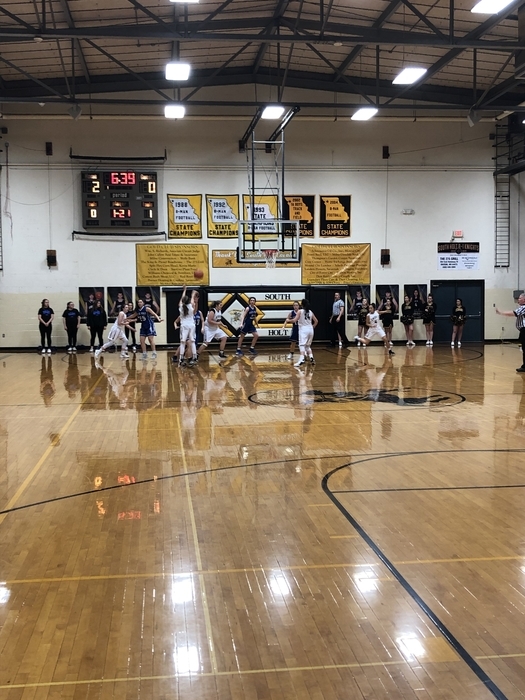 South Holt Lady Knights advance in district play by beating Osborn 41-29. Attention all high school students: you have the opportunity to take college courses at Duke University this summer! Come chat with Miss Olberding for more info about the programs and the application process! South Holt Boys win in the first round of districts 74-43 over Stewartsville. The Lady Knights play Tuesday at 4:30 against Osborn. GO KNIGHTS! Congratulations to Dawson Fansher for being voted Athlete of the Week by the St. Joe News Press. Eric Ottman has been nominated this week. 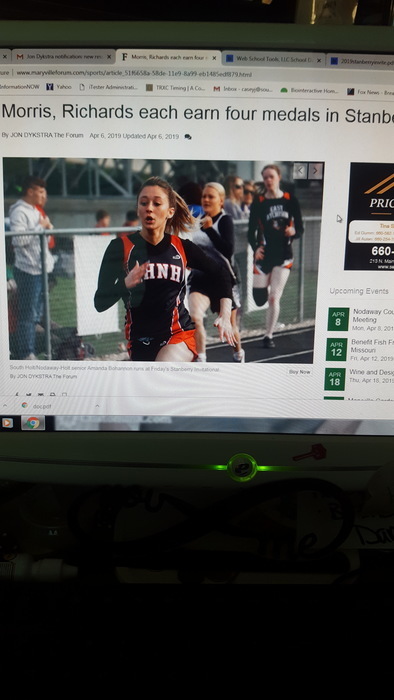 Please Go to newspressnow.com/athletes to vote. Voting open now through Friday at 5:00. You can vote daily. GO KNIGHTS! District Basketball begins Monday in Mound City. South Holt Boys play at 8:15 PM. Bus departure at 6:15 PM. South Holt boys win 71-56 over DeKalb. South Holt Girls take the first game over DeKalb 38-34. South Holt varsity basketball doubleheader at 1pm today vs DeKalb. Girls first. Then boys. Senior recognition between games. Congratulations to Dawson Fansher on his 4th place finish at the State Wrestling Tournament. South Holt is proud of him!!! Saturdays High School Scholar Bowl (2/16/19) has been postponed until next Saturday 2/23/19. South Holt Basketball games tonight have been postponed to tomorrow afternoon at 1:00 starting with HS girls. JV has been cancelled. Dawson Fansher won his second match at the state wrestling tournament this morning 15-0. He will wrestle again tonight at 6:00. 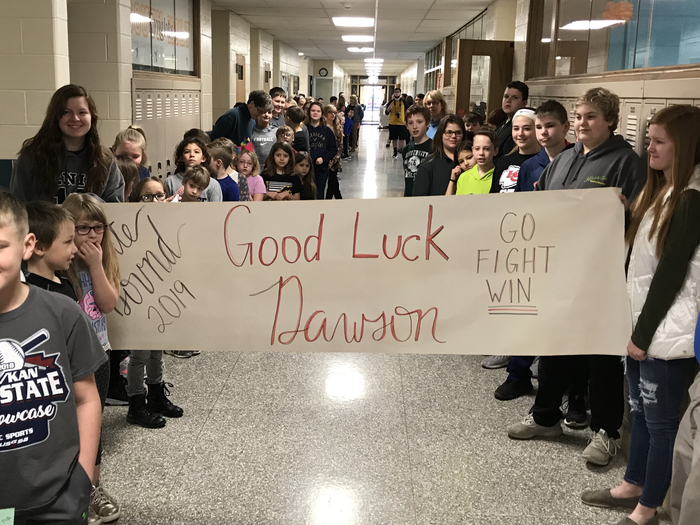 Good Luck Dawson! Happy Valentine’s Day! ❤️ Celebrations are happening at South Holt! The CTA sold 838 pixie sticks to help our school celebrate this special day! Just a reminder that Hillyard Technical School will be out of session Friday 2/15 and Monday 2/19. Last chance to place Valentine Pixy Stix orders! If you do not have an order form you may write it on paper (to, teacher, and from). 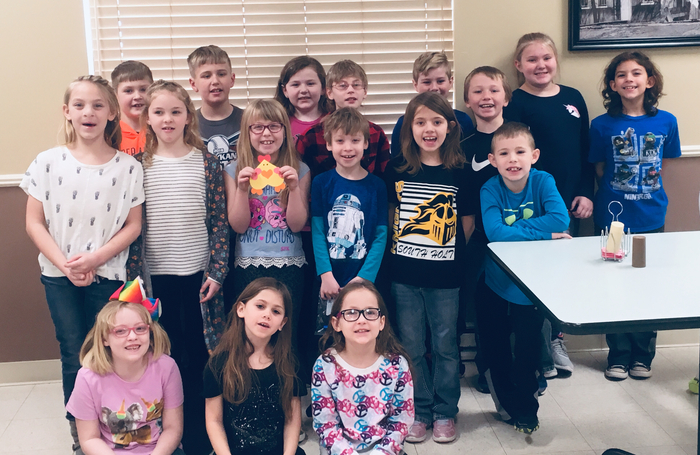 Ms. Showalter’s 2nd grade class enjoyed reading and making Valentines for the OCC residents. 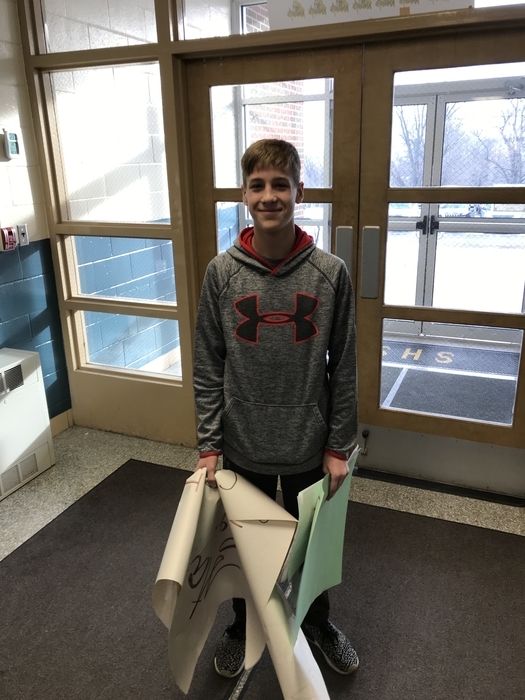 Dawson Fansher is heading to state wrestling today. The rest of the school gave him a send off by lining the main hallway. Cheering and signs made as he heads to Columbia to begin wrestling on Thursday. Good luck Dawson! 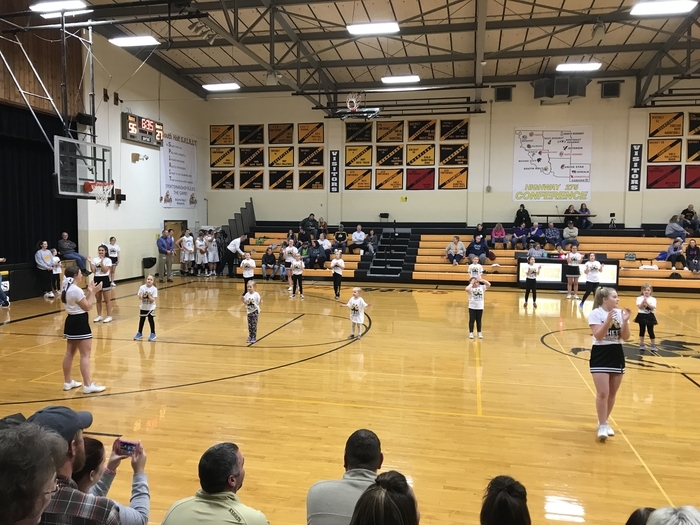 South Holt Elementary Cheer Clinic was held at halftime of the varsity boys game on Tuesday, February 12th. South Holt Men’s Basketball wins 83-53 tonight against Union Star. Congratulation Lady Knights on your 54-13 victory over Union Star. 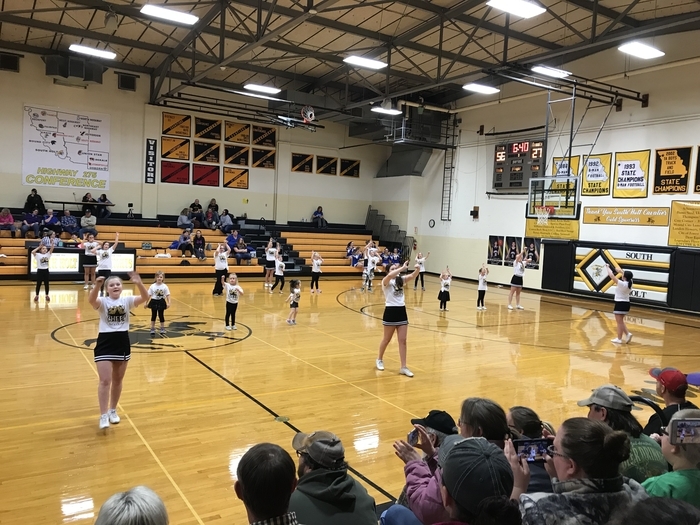 The elementary cheer clinic performance will be (2/12/19) halftime of the boy's varsity game. Valentine Pixy Stix orders are due tomorrow! If you do not have an order form you may write it on paper (to, teacher, and from). There is still time to order pixie stix! Just need to know name of person, class, and who it is from!! $1.00 each! Please place your order on or before Thursday morning! South Holt will have 2 hour late start Tuesday. School starts at 10:20. No breakfast. No Hillyards. Tonights Basketball game vs. DeKalb will be rescheduled for Friday (2/15/19). The non-confernece game vs. Maysville for that evening will be cancelled. Start time 5:30 for JV Boys. South Holt will dismiss at noon today. Lunch will be served. BB games moved to Wednesday night. JH Honor Choir to NWMSU has been postponed today. It will be rescheduled for Monday, April 8th. South Holt girls basketball lose at Hopkins tonight 32-58. The South Holt girls got the 4th seed in Districts. They will play Osborn on Tuesday, Feb. 19 at 4:30 in Mound City. The boys got the 3rd seed and will play Stewartsville on Monday, Feb. 18 at 8:15 in Mound City. The District 15 Basketball Tournament will take place the week of Monday, Feb. 18th in Mound City. Boys games will be Monday, Wednesday and Friday. Girls games will be Tuesday, Thursday and Saturday. South Holt's Thursday dance classes with Allison's School of Dance are canceled for this week. South Holt is dismissing today, February 6th at 1:30 due to inclement weather. South Holt will be dismissing at 1:30pm today because of winter weather. Wednesday, February 6th. Pixie Stix orders are due by February 14th for $1.00 each. Forms may be picked up or dropped off in either office. South Holt boys win 74-38 over Osborn. Now sitting 13-6 on the season. Go Knights! Congratulation South Holt Girls basketball team. Tonight’s 56-40 win over the Osborn Wildcats puts you at 11-8 for the season. Go Knights! 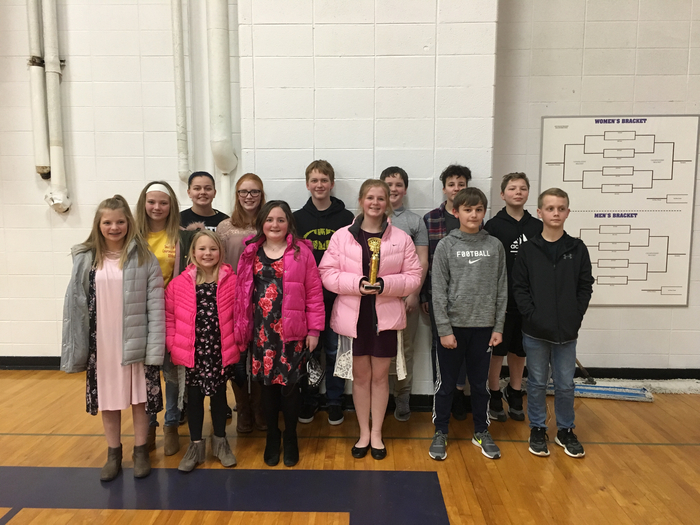 South Holt classroom spelling bee winners travelled to Mound City on February 1 to participate in the Holt County Spelling Bee. 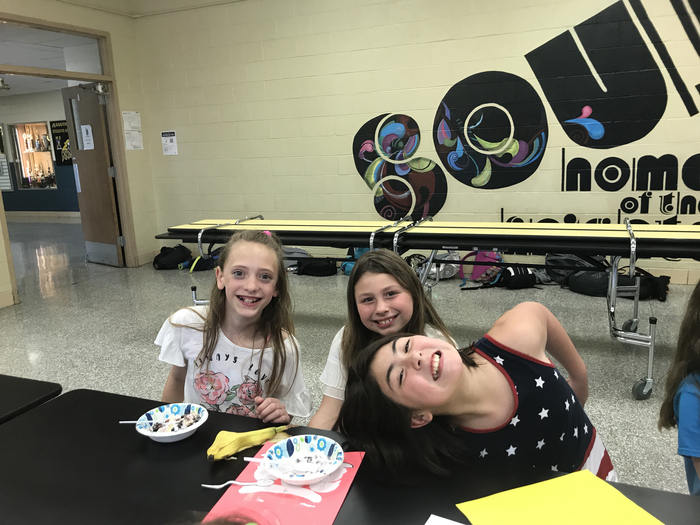 Fifth grade spellers were Jernie Morris, Katelyn Schuman, and Ella Schaeffer. 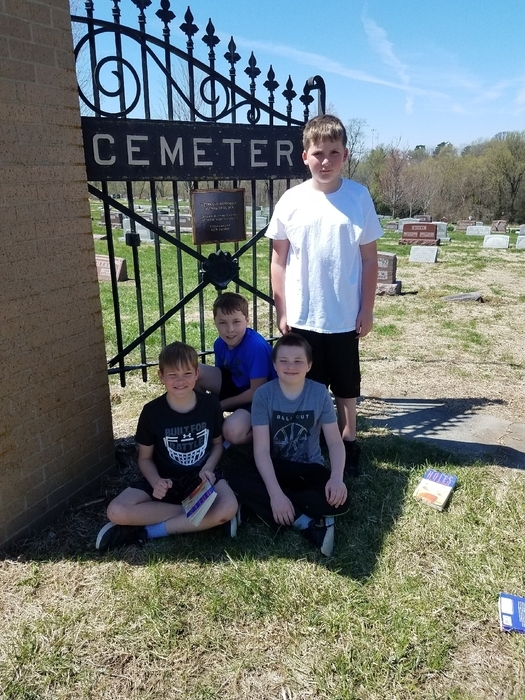 Sixth graders: Brayden Hustead, Rachael Knapp, Cole Medsker, and alternate Quentin Scroggins. Seventh graders: Hanna Buckles, Dane Fansher, Teegan Parsons, alternate Brock Rauch. Eighth graders: Kal McFarland, Olivia Ordonez, Brandon Smith, alternate Brianna McCarty. 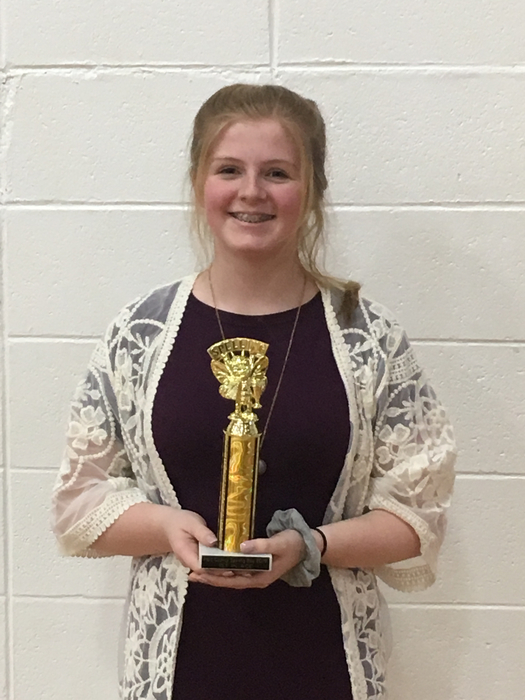 Teegan Parsons brought home first place and will compete in the Regional Spelling Bee on March 2. 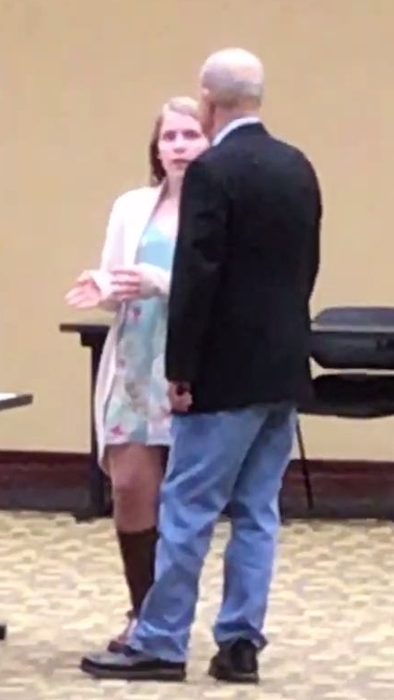 Jernie Morris will be an alternate at the Regional Bee. Congratulations, spellers! Elem Booster Club meeting tonite at 5:30pm at school library! Join us if you can! Work getting done even when there is no school. 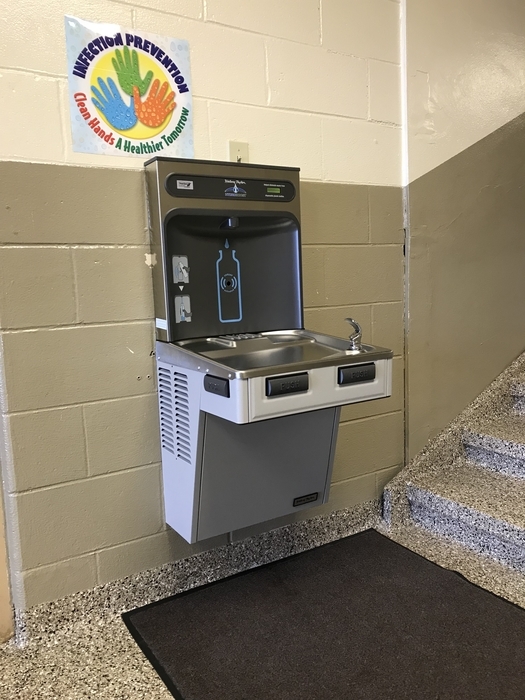 A new drinking fountain and water bottle filling station was installed today at South Holt Elementary. Nice addition! 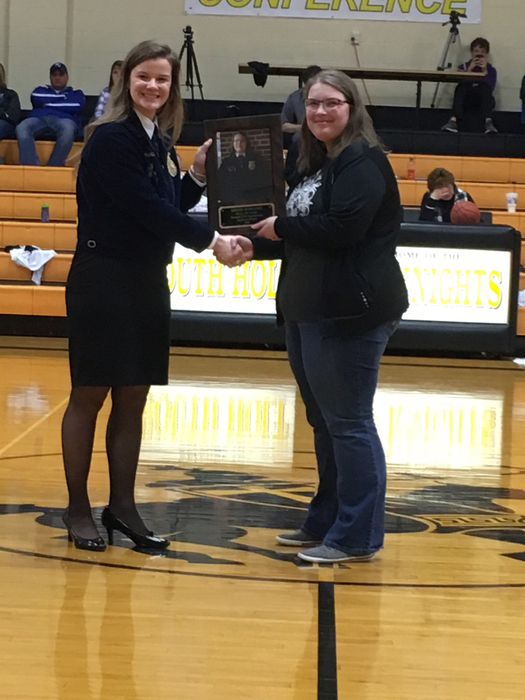 FFA Members please do not forget that pictures are tomorrow at 12. Please bring official dress. Tomorrow (2/4/19) Hillyards students will report for class at normal times. 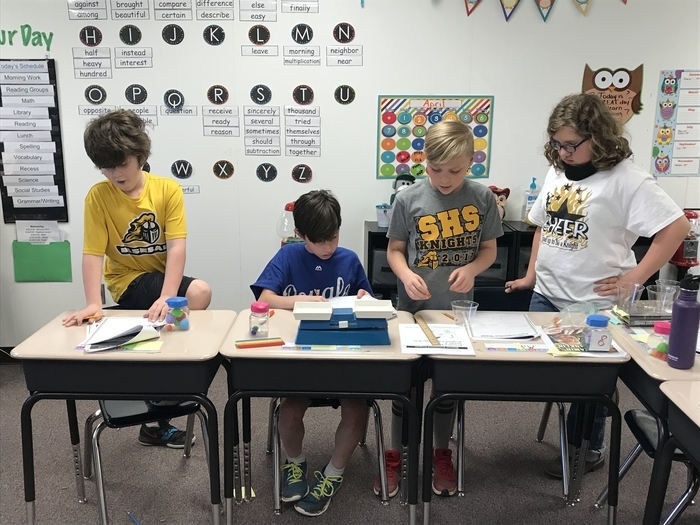 Tomorrow (Mon) at South Holt is a regularly scheduled Teacher Work day. No school. 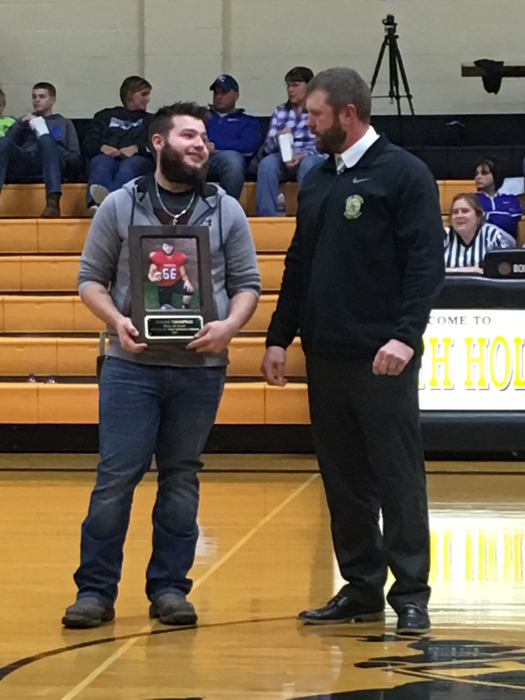 2019 South Holt Hall of Fame Induction Ceremony. Elementary Cheer Clinic Saturday 1:00 - 3:30. 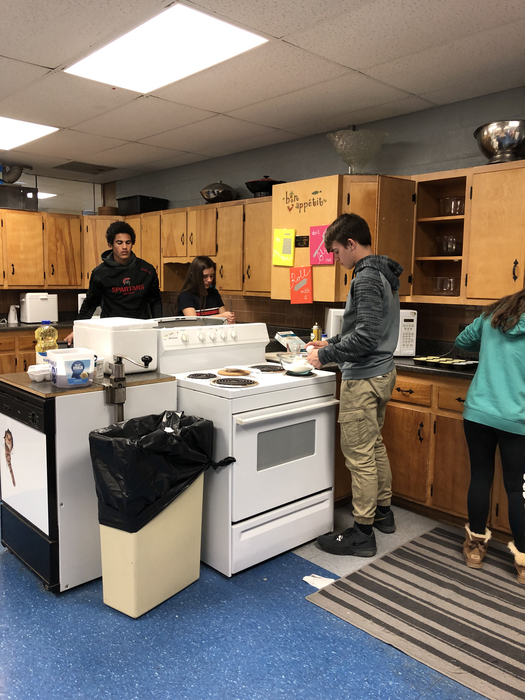 Senior Supper will begin tonight (2/1/19) at 4:30 PM. Come in and enjoy smoked chicken. Tonight's basketball game vs. Rockport will begin at 6:00 PM with Girls Varsity. The last Little Dribbler session will be tomorrow morning at 9:30. 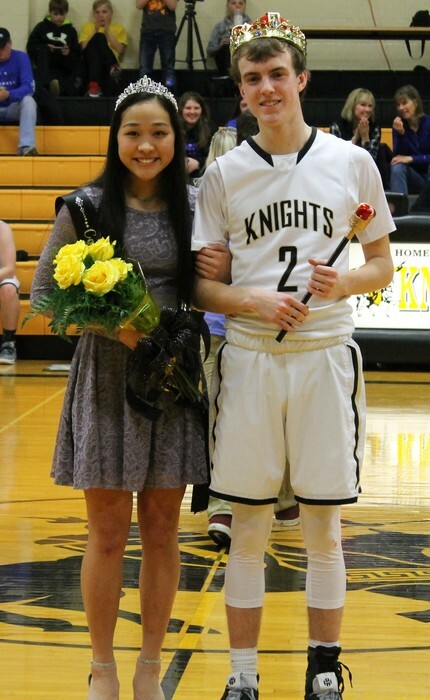 The crowning of the king and queen for courtwarming will take place during the boys halftime at tonight’s game. Friday nights basketball game against Rockport will be aired on KAAN FM 95.5/ESPN AM 870 FM 103.7. SH lunch tomorrow will be chicken strips instead of pulled pork. Other menu items won't change. South Holt boys win 52-42 over South Nodaway. The South Holt Girls lose a close, hard fought basketball game to South Nodaway 46-48. South Holt JV Boys defeat South Nodaway JV Boys 29-21 this evening in Barnard. Hillyards Technical Center will be closed tomorrow (1/30/19) due to weather conditions. SouthHoltR1@txcstr.com: by NorthwestCell, OFM Tele South Holt will not have school on Wednesday. The South Holt School food pantry is fully stocked and ready to be used. 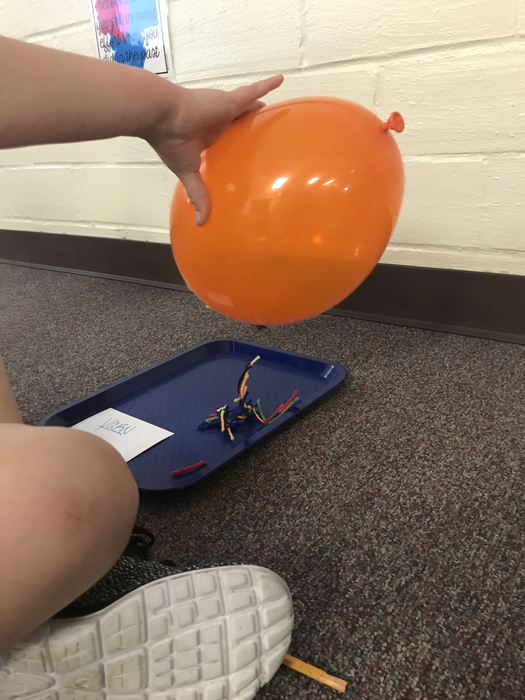 It is in Miss Olberding's room. South Holt High School students participating in the first dress-up day of Court-warming week. Today's theme was "Flex the Hero in You". There will be an After Prom meeting tomorrow night at 7:00 in the cafeteria. There will be a basketball Open Gym tonight at 6pm at South Holt. Adults, HS, and JH. Congratulations to Dawson Fansher on 1st place in the GRC Conference wrestling Tournament! We will have Little Dribblers tomorrow at 9:30am. Preschool-4th grade. See you there. There will be a basketball Open Gym tonight (Friday) at 6pm at South Holt. Adults and HS age only. South Holt will not send students to Hillyards tomorrow (1/25/19). Please report at 10:20 to SH. SH will have a 2 hr late start Friday. Buses run 2 hours later than normal. School starts at 10:20. Last day to register for elementary cheer clinic is tomorrow (1/25/19). South Holt R-1 Will dismiss school today, January 22, 2019 at noon due to inclement weather.